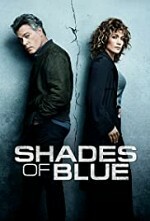 Watch Shades of Blue: Detective Harlee Santos (Jennifer Lopez) is a single mother from New York City, New York. She joins the FBI's anti-corruption task force, whilst dealing with her own financial problems by bribing officers in order to afford for her daughter Cristina (Sarah Jeffery). Episode 4 - Who Can Tell Me Who Am I?